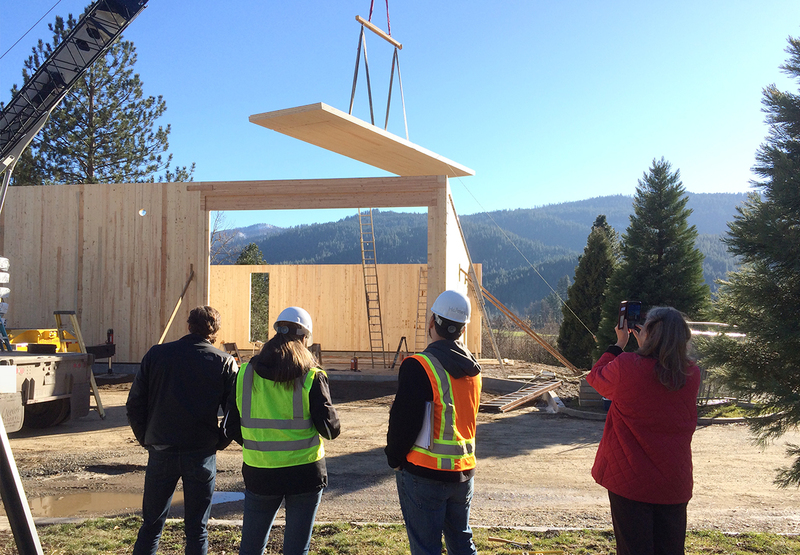 The new Biomass Boiler Building in Quincy, CA is the first building in California made entirely of Cross-Laminated Timber (CLT). 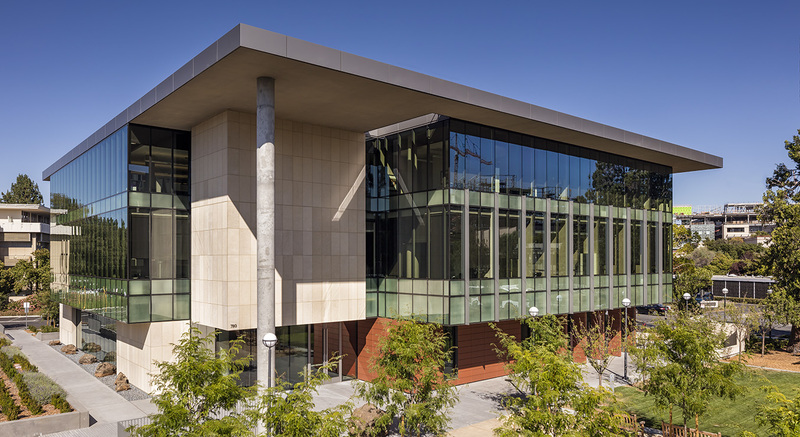 CLT stands out as a sustainable building material with a reduced carbon footprint and an inviting, natural aesthetic that is gaining traction in the US. 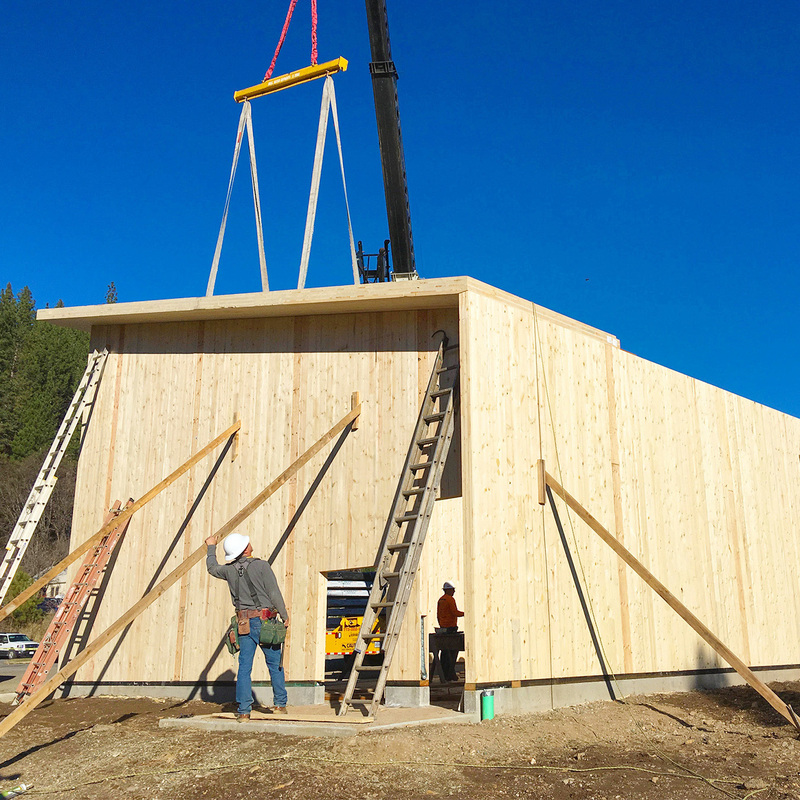 Whereas limited uses of CLT were previously implemented across the state of California in buildings as a roof or floor system, the Biomass Boiler Building was constructed using CLT panels for the complete structural system to resist gravity and lateral forces, such as wind or a seismic event. The architectural design of the building showcases the use of mass timber with completely exposed surfaces on the interior, and exposed wood underneath the roof eaves. 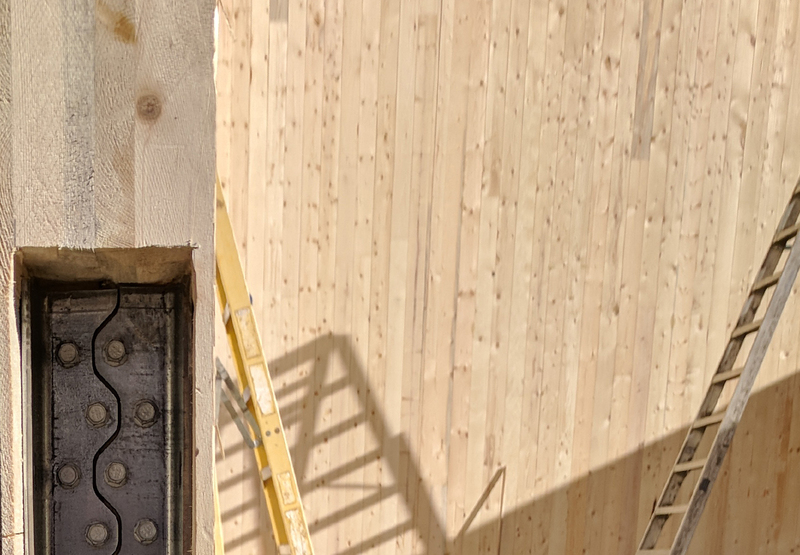 The vertical surfaces of the exterior of the building were clad to protect the wood from the elements, UV, moisture and to provide additional fire protection. 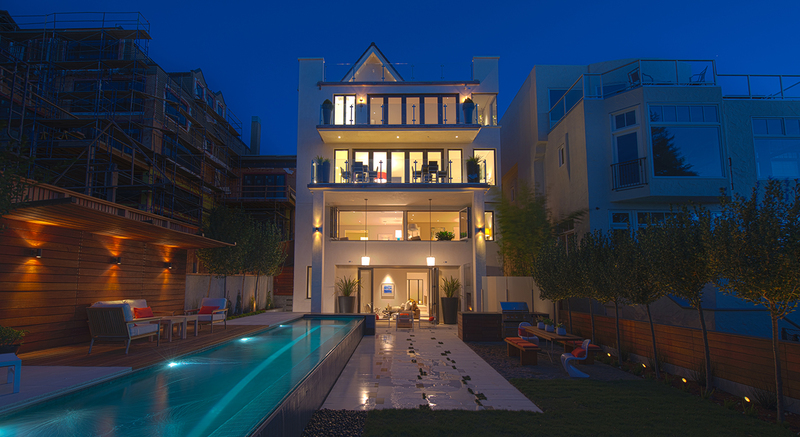 The time on the project from concept development to substantial completion of the structure was less than a year, with rapid delivery on design, approvals and construction being critical to have the building closed and protected before the 2017/2018 winter season. Erection of the primary superstructure occurred over just a one week period in December of 2017. 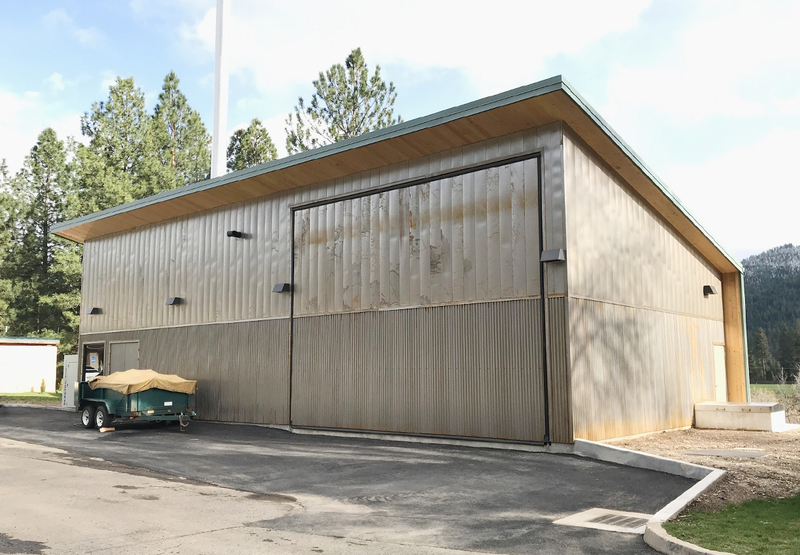 Owned by Plumas County, the industrial Biomass Boiler Building located adjacent to the Health and Human Services Department in Quincy, CA, includes approximately 2,000 SF of space. 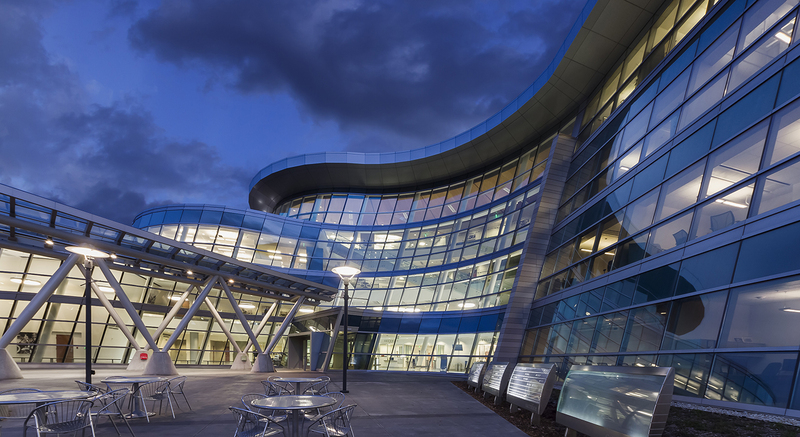 It houses an innovative biomass system using organic and sustainable waste material to generate heat for the Health and Human Services Building in as an alternative to fossil fuels. 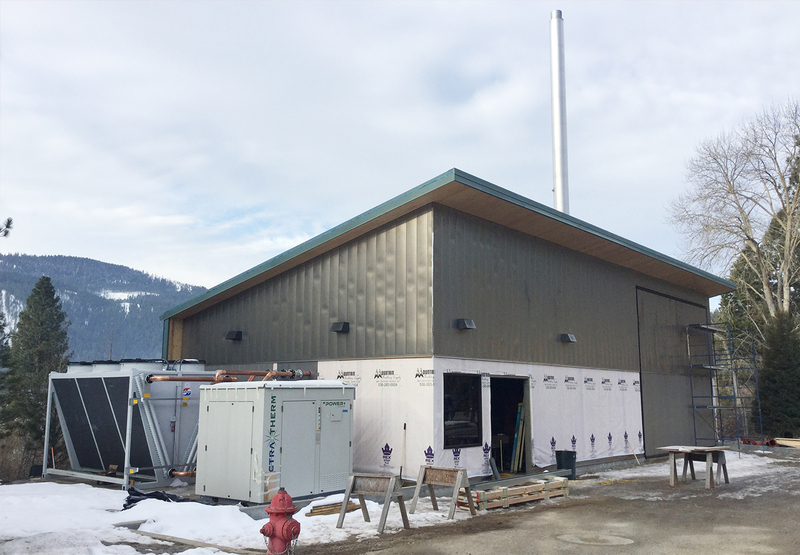 The boiler is the second of its kind in the U.S.; it is a community-scale, biomass boiler unit that runs on hog fuel, a coarse woody material generated as a byproduct directly from forest restoration and management activities. 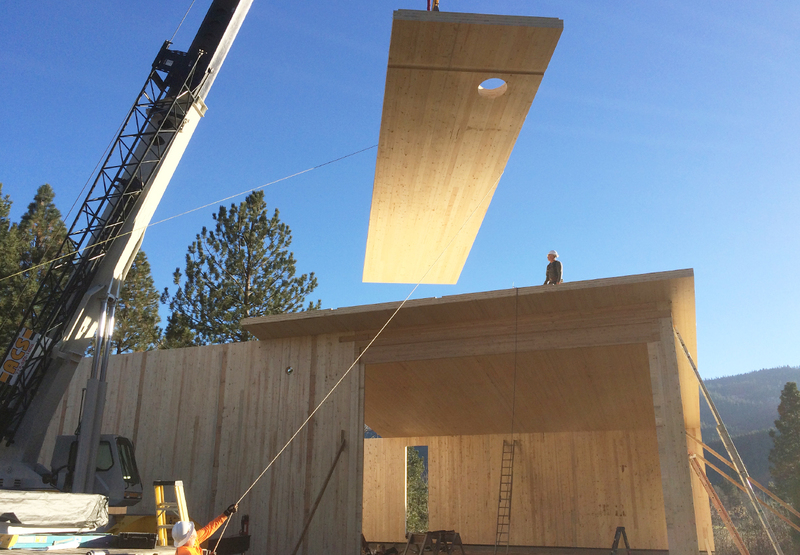 Holmes Structures was a great partner in helping us and the client provide an innovative building for the Biomass Boiler, ultimately producing a very elegant solution for the first fully structural CLT building in California.